I finally, FINALLY finished reading The Woman in White! Talk about the longest book in history! I persevered with it because I loved the characters and enjoyed the writing, but now I understand why Reader's Digest do abridged versions of the classics! I think they could whittle that book from 672 pages down to about 300. It didn't help that I was only reading it for about 15 minutes a day for about 6 weeks! If you find an abridged version, I recommend reading it! The story begins when art teacher, Walter Cartwright, on the way to his new teaching appointment with Laura and Marian Halcombe, comes across a distressed woman dressed in white who he finds out later has escaped from an insane asylum. He endeavours to look for her, and meanwhile falls for Laura, who much to their devastation, is promised to marry Sir Percival Glyde. Sir Percival is very concerned about the woman in white being on the run and makes every attempt to track her down, as she knows a Secret about him, which could destroy him. The chase is on; who will find Anne Catherick first, who will discover Sir Percival's Secret, and what will be the repercussions on everyone involved? The characters are over the top, Dickensian style, which is fun to read. And the story is presented from the point of view of many different characters, which makes solving the mystery of Sir Percival's Secret quite tricky. It is worth reading to the end to find out how things turn out for all the main characters. The ending is satisfying after such a long read! Now I am devouring The Light Between Oceans, which is much more my type of book. The story is set in Western Australia, which makes it relatively local for me, and the descriptions of the land and sea remind me of Tim Winton's style (a well-known and brilliant West Australian author). The characters are so lovable, and the setting of the island light house is fascinating. I enjoy reading about people living in harsh or isolated environments because I wouldn't want to do it it myself - I love my modern luxuries too much! 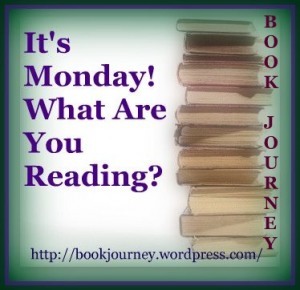 So, I'm off to visit Sheila and friends at Book Journey to find out what everyone else is reading! I *loved* The Light Between Oceans! It was such an engrossing story - I definitely had a hard time putting it down. I hope you enjoy it! Glad you made it through the book. I have not read it. I like the sticker on the other book! Have a great week of reading. Congrats on making it through The Woman in White! :) I will read that...one of these days! I am totally intrigued by that second book.. and I'll just ignore that first one! Off to put Light Between Oceans on my wishlist! Here is my Monday post. Have a great week! I loved The Woman in White - it's one of my favourite classics. First time on your blog - I always love it when I come across other Southern Hemisphere bloggers. I really want to read Woman in White but the page count does me in really. Glad you enjoyed and finished. The Light Between The Oceans sides good from you description. I tend to avoid books over 450 pages anymore although sometimes I will listen to them. I wonder if Woman in White is offered on Audible? It probably is on Audible, but gosh, it would take forever to get through! I must admit, I am going to check the page count of books more closely from now on. It's a bit deceiving with books on the iphone because the page count is four times as much! On my iphone the page count for Woman in White was 2800! I tried The Woman in White and it wasn't for me. My favorite book was Suite Scarlett by Maureen Johnson Please come see what I'm reading now. 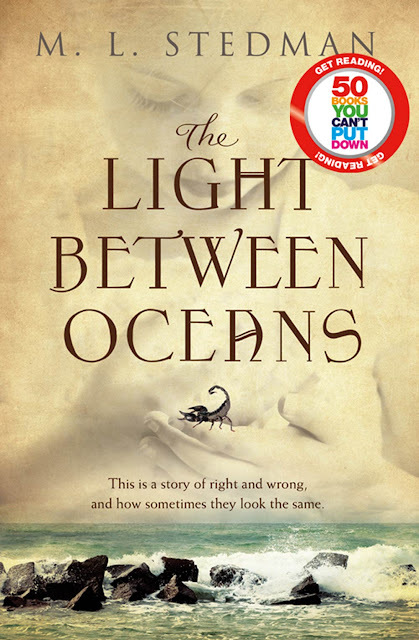 i just finished the Light between the Oceans... i loved it...i could see how the story could have almost been true and maybe have even happened..loved the whole isolation of their life...and the ending ..albeit a little late for mother...there could almost be a sequel with the life of Lucy and her son and the relationship there with the father....oh well!!! but i loved it....and even better it only cost me $2 at the second hand stall at a market. ..Yeah!!!! My Mum got this copy for about the same price. Great bargain, only it means my to-be-read pile gets bigger and bigger every week! 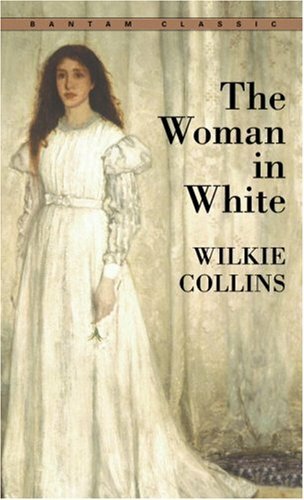 I am yet to read the woman in white but from what I can see looks like a good book. I like your blog and will be back to see what you have been reading. The Woman in White has been on my list for quite a while. I love the way you described the characters as being "over the top Dickensian style." :-) The Light Between Oceans sounds good too.